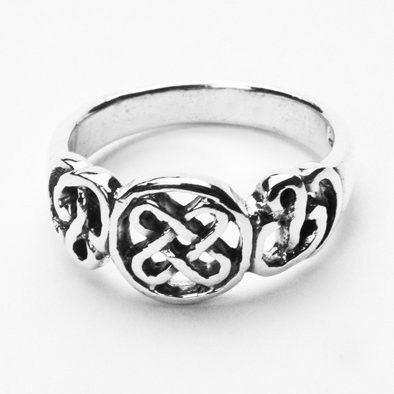 This beautiful ring features examples of Celtic Knot Work displayed in .925 sterling silver. 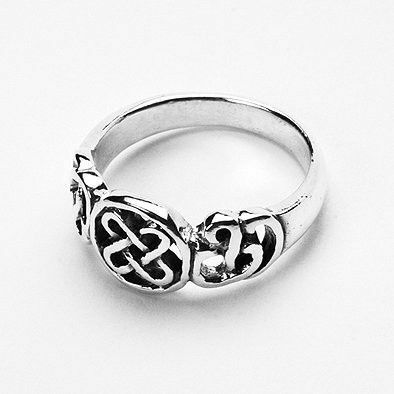 The continuing pattern of knots seen on the face of this ring represents eternity. Show her how long your love will last with this timeless piece of jewelry. The face measures Approximately 5/16" in length at its longest point.